The primary way I have seen this shamelessness in the wicked is through their continued interjection of themselves into the lives of the people they abused. Separation has taken place. Divorce. Or, in my case, a wicked man is put out of the church after his evil, decades-long quest for power and control is exposed. Yet he will continue to send birthday cards. Or if his path runs across that of his one-time abuse target, he is all smiles, marching right up and engaging in conversation as if the charges against him were mere fantasy, a fiction existing only in the mind of the victim. No shame, you see. Many of these shameless servants of darkness will continue right on with their unholy charade of christianity. They will sit in the pew, sing the hymns, pray the prayers, or even preach and teach “God’s Word.” Many will even give marriage counseling to others!! No shame. The wicked are shameless. And, of course, these shameless ones are great shamers. Rather than wearing the garbs of shame as they should, they place those rags on others. Through words, nuances, innuendos, and other means, they strive to shame the innocent. We must refuse to wear that shame. Psa 5:4-6 For you are not a God who delights in wickedness; evil may not dwell with you. (5) The boastful shall not stand before your eyes; you hate all evildoers. (6) You destroy those who speak lies; the LORD abhors the bloodthirsty and deceitful man. Wow, how true! My abuser had absolutely no shame whatsoever but I never thought to call it that. When he walked out on me and our two boys 10 years, he did things just like you describe here. One example — my then-husband left a month before my birthday that year and when the boys went to see him (he was living with some people from our former church), he gave them all these birthday presents he had bought for me which were from all of them. When the boys got home that day with the gifts, they were excited for me to open them, it left me in a terrible position. As much as I wanted to throw those presents in the garbage because I knew what he was doing, I opened them and feigned excitement only because the gifts were from my boys also, at least that’s how they saw it. He had absolutely no shame as he called me names and said horrible things about me to our sons and anyone who would listen. I will be sharing this on my Facebook page! Oh wow, isn’t this the truth. This was such a huge tactic of my ex husband’s. His behaviour was shameful in every way including motives and intentions and yet he continually tried to shame me about things that were not shameful! It was shocking really! He was collecting a pension that the son of a live-in partner should have been receiving. Yet he continually complained that I was collecting child support from my first husband after he walked out on me and my very young children, I had been a SAHM, giving up my career to raise my kids, he tried to shame me about that often and told me I should give it up! After we separated because he was using prostitutes he tried shaming me about collecting child support from him because we had a child together and again I to stop work to be home with her for a few years. After we separated he continually told me that I target men to collect child support from them which was not true, I would rather if my husbands had remembered they were married and not cheated or walked out! It took me awhile to realize I had been targeted by him and he was the one behaving shamefully in so many ways, yelling at my kids telling them they should respect him, targeting me financially because I brought a home and good support into the relationship! It was truly shocking as I discovered layer after layer of lies and projection; he was putting on me when my motives were not evil and I brought him only good! I have a new understanding of what evil looks like that I rather would have not learned in this way! Thank you for posting about this! You’re welcome Starlight. You are growing wise! I’d love to read about how we can refuse to wear that shame, because it’s so important and such a necessary skill. I try to remember what God says about me in His Holy Word and if I don’t believe His Word, then I’m making God into a liar — and He is not. But the power of shame — and how abusers weaponize that further. Abuse, in itself, engenders shame in the target. And then the things they hurl at us, over and over again, just haunts a person. Loving these posts and this blog, Pastor Crippen! anonymous – thank you. It is important that we, as you say, remind ourselves what God says about us in His Word. That old nonsense that is soooo common “well, we are all sinners,” is a lie. Take your Bible and try to find where we are given the name “sinners” by the Lord. No, in Christ we are His children, new creations, saints, and so on. Yes, our sinful flesh is still present until we die but that is not our new identity. We are new creations taught by the Spirit to love Christ and our neighbor. He loved to compare the sins of his present to the sins and even abuse of my past as the reason I had No right to call him on his cheating, stealing or other harmful behaviors. He even went so far as to throw a Bible in my face and tell me that God could never use someone as messed up as I was in my past to teach anyone anything. While he sat in church, having never read a Bible, and acted like this pious, Godly husband and father; he would have just finished abusing us on the way there. He was great at avoiding his shame, while heaping it on my head. It was very oppressive treatment and left me feeling like God would never accept me or really forgive me, if my own husband thought I was such a worm. 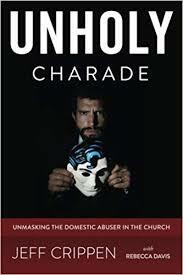 Now I know, the church teaching on my husband being “Lord” in our home was perverting my thinking and allowing this monster to abuse my spirit, while he was unrepentant and acting shamefully. So many Bible verses and yet those select, ‘woman, submit!’ ‘man as lord’ twisted Bible verses are harped on and it just furthers the abuse of really good, genuinely Christian women who want to serve God and be as God would have them be. Sorry to hear of your abuser’s antics, Natalie. In reading your comment, I was clarified in my thinking. Whereas abusers throw things in our faces and thereby deflect and dismiss any rightful criticism of them, we readily admit our own wrongdoings and shortcomings. You regret your sins and are remorseful. Your abuser knows you have a tender conscience and weaponizes such to control you. So evil. It really shows them for what they are — wicked. They will go down into the pit. That’s my comfort and assurance. Probably about all I have, the promise and assurance of God’s wrath being poured out on the evildoers.